Music is extremely high profile at St. Christopher's and children from all year groups are encouraged to perform and sing. St Christopher's use an online scheme of work called 'Charanga' which supports the new curriculum and has been praised by Ofsted. This will be used to teach music throughout the school. This scheme provides exciting units of work for the children from Reception right the way up to Year 6 with an emphasis on encouraging the children's listening, composing and performing skills. Each year group will complete 3 units from Charanga per year. 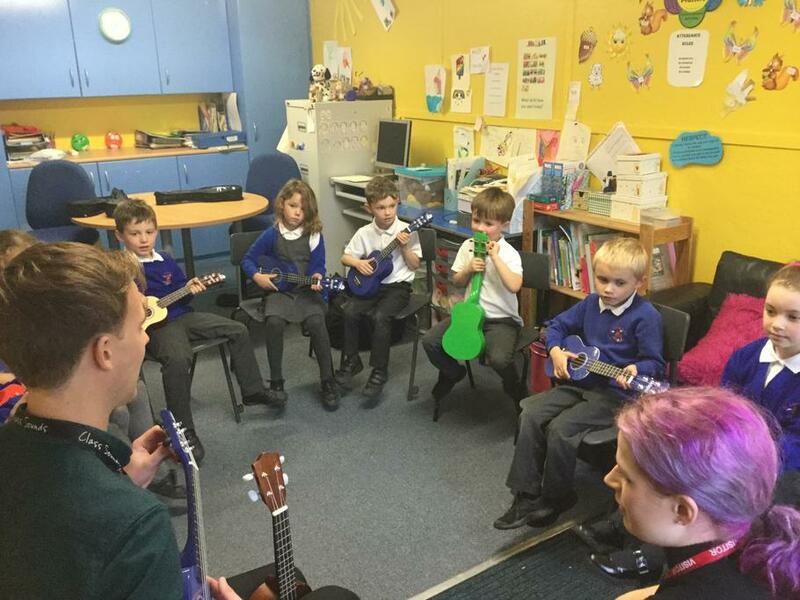 Units consist of both songs and instrumental works with children being given the opportunity to develop their singing skills as well as playing instruments like the recorder, glockenspiel and African Drums. 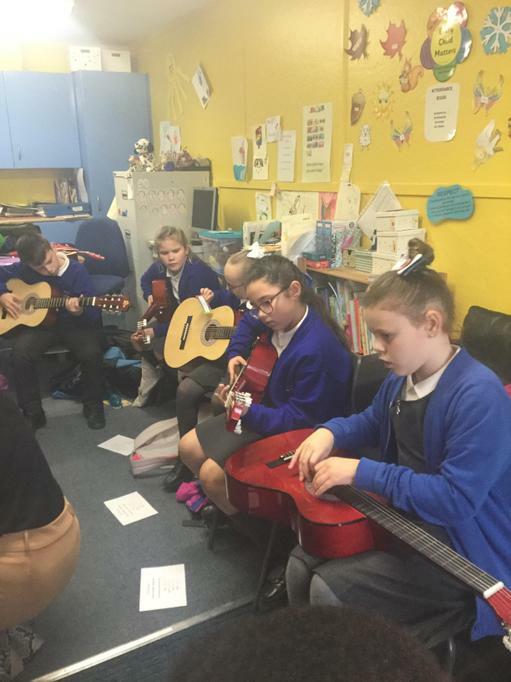 At the end of each unit of work the children will perform and record the song or piece of music they have been working towards. In addition to this, over the past three years St. Christopher's have worked very closely with our local music hub, 'Resonate' and through them we receive one hour of violin tuition every week for thirty children in years 4 and 5. 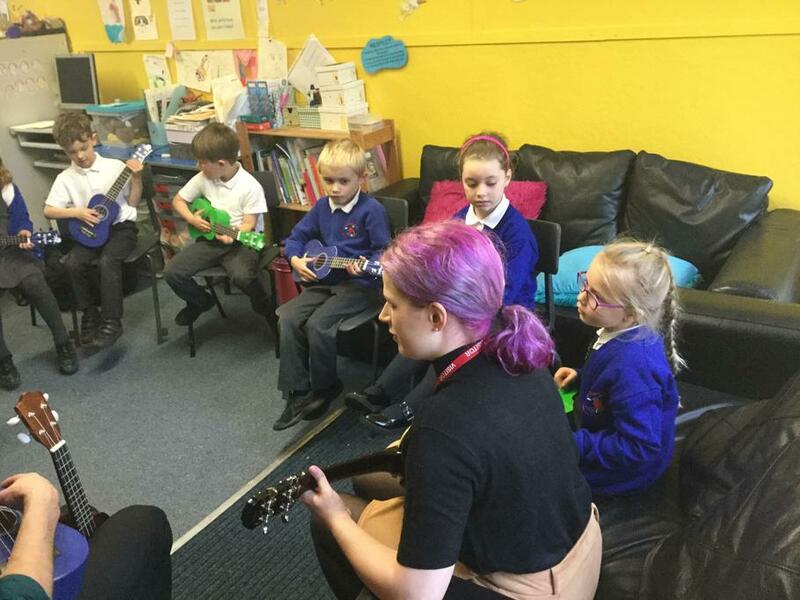 The children absolutely love learning this new skill and under the tutelage of Mr Naylor from Resonate they improve and develop their skills and musical understanding week by week. Each term our violinists perform a concert in school (along with our talented choir) to parents and children in. Outside of the classroom we have lots going on with Music. St. Christopher's have an incredibly talented Key Stage 2 choir who practise after school on Thursday's with Mrs Domagala. Recently our choir have taken part in the iSing Festival at the Liverpool Philharmonic Hall. The choir regularly perform in school to parents and children, and every year they venture out during the festive period to a variety of local businesses including Dobbies, Jaguar, Toby Carvery, Morrisons and Reynolds Court Retirement Home to sing carols and spread their Christmas cheer. 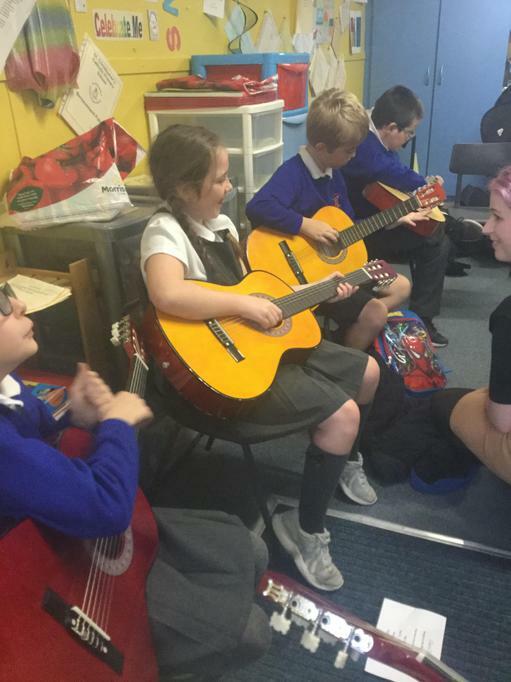 Last Christmas the choir raised over £300 for the school.This year we are also introducing a variety of other instrumental tuition sessions through after school clubs with 'Class Sounds' for those children who wish to learn an instrument. This includes guitar, keyboard and ukulele. Singing is also encouraged in Foundation Stage and Key Stage One. Every Christmas the children of Key Stage 1 perform an all singing all dancing Christmas Nativity and a small group of Year 1 and 2 children sing carols in Morrisons to raise money for the school. Every child in the school gets the opportunity to sing during assemblies and during church services. We have an extremely talented and enthusiastic bunch of staff and children who embrace music and singing in St. Christopher's. This culminates in our annual 'St. 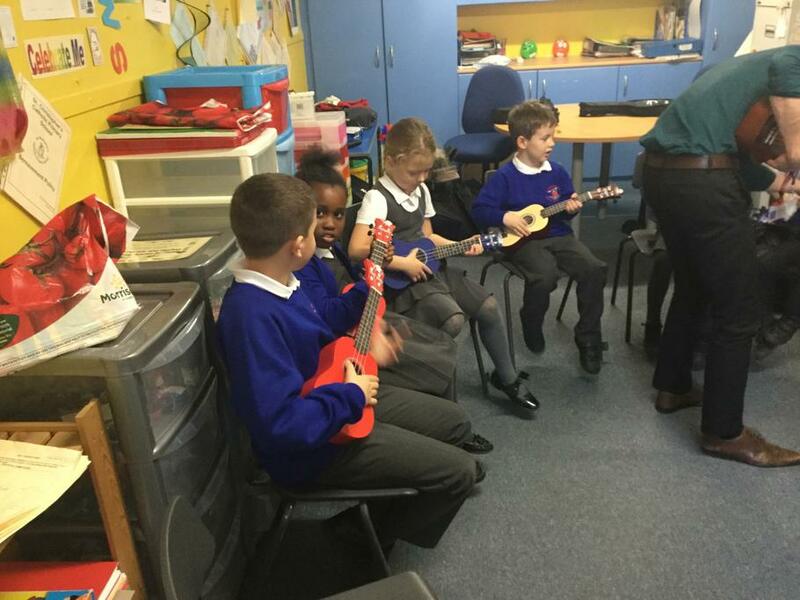 Christopher's Music Day' when each class in the school performs a song they have learnt. This year we are hoping to get this recorded for our very own school cd! 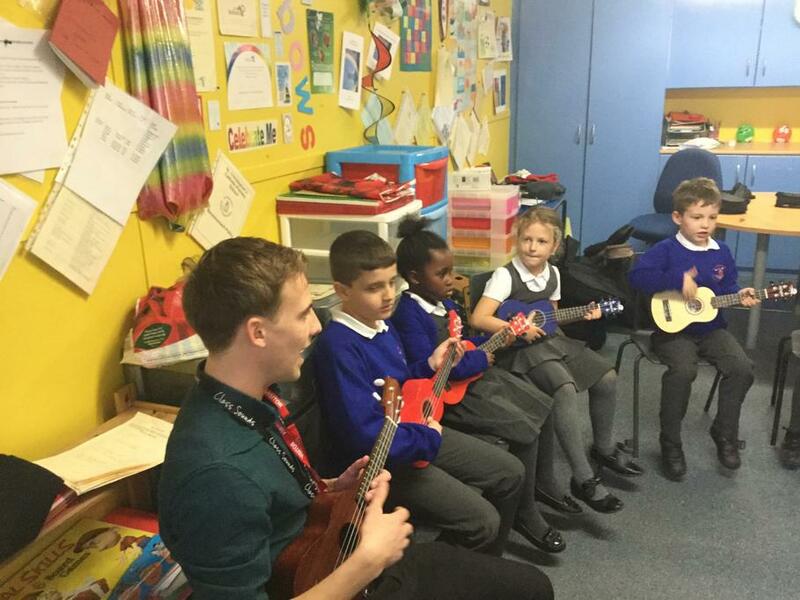 Today the children started their Ukulele and Guitar lessons with Mr Catt. The children did fantastically and seemed to really enjoy themselves!